Whether you are running a household or you are running a business, numbers are important. Did you know that there are $1 trillion of student loans in the U.S.A? Did you know that 26% of student loans are in trouble? Did you know that $315 billion of student loans are held by people in school? In reference to other loans did you know that 22% are falling behind? Did you know that job creation currently stands at 150,000 jobs per month? Did you know that most of the jobs are part-time and being filled by workers aged 55 to 64. If you thought this was building up to something – you’re right! If you don’t understand the significance of what I’ve stated then let me fill you in. The economy is wishy-washy and not growing in a meaningful way, that would give much hope to it’s citizens, who must pay the bills and need a job to do so. Further to this: people are choosy about the way they spend their money and one big reason is that the nation’s big spenders must save for retirement and less people are taking out loans to buy bigger ticket items. This means there is a slowdown and that means cost cutting – not spending. Yes people want to buy education and it’s positive, but will those courses lead to paying jobs??? Given the current scenario, when these kids leave school they will be unemployed for a long time and part of the reason is slack demand in the economy. One thing is certain: these kids won’t become the next big spenders – they’ll be bankrupt. Do you remember how Detroit went bankrupt? There are many signs that the issues are not solved and debt is a killer – even if you are a BIG CITY. As for entitlements? Do you really think when it’s time that there is going to be someone who can pay? Responsibility! In the end the citizens will end up paying for the sins of the fathers. You are going to have to look after your interests – you will need to MIND YOUR OWN BUSINESS! There will always be a market for a business that is making money. 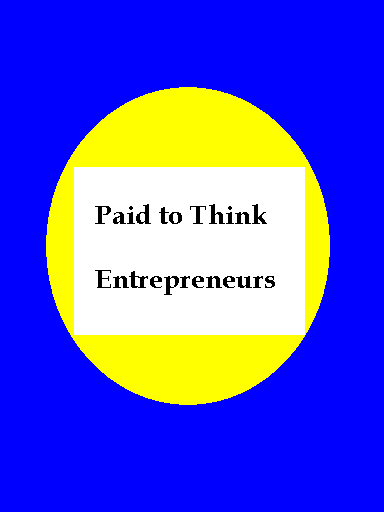 You might be able to ask 8-12 times the earnings and create a windfall profit for yourself. Yes – it will require some work. Choose a cheap, low cost and easy to sell product – a digital product! I have never stopped updating my skills. I have spent many thousands of dollars adding value to ME. As CEO I need to upgrade my skills and keep learning. All those bits of paper I have stored in the vault have added to who I am and aren’t wasted, but now is not the time to throw thousands in the wind, for degrees that are questionable going forward. Be targeted and strategic. Does it help you earn money now? Would you like to learn how to earn residual income? That means – the money comes in every month. Would you consider that training like that would be worth $27 and would help you pay the bills? I’m not talking about being in debt the rest of your life. So now there are two things you can do today that have the potential to bring in the money. Get that return on investment. Make sure these 2 opportunities get consideration as part of your portfolio. Go here and register for the Passive Income Training! 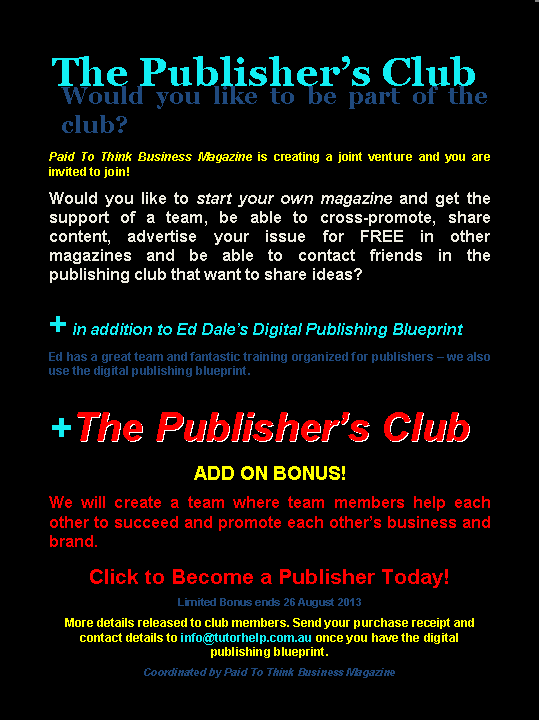 You – a Digital Magazine Publisher? Here’s a new, ALL-CONTENT video from Ed Dale – who along with 350+ students, was able to generate over 1,000,000 customers in only 11 days with NO paid advertising whatsoever – has been looking forward to creating for a very long time. Hear what real people say about their publishing business and download the special bonus!